Saccharine: What to wear for Halloween? It's Ally's first Halloween. Technically, it's her second, but since she was still a newborn last year, we didn't get to experience it. This year, I don't want to miss the hullabaloo. I can't pass up a chance to dress her up in a cute outfit. I don't know what costume to get though. Any suggestions? It has to be very comfy and it shouldn't require a hat or hair thingie. She doesn't like wearing headgear! I don't want her to be in full mascot attire - we live in a tropical country so it's going to be really warm in a full suit. But look at these photos of her taken at a studio a few weeks before her birthday. 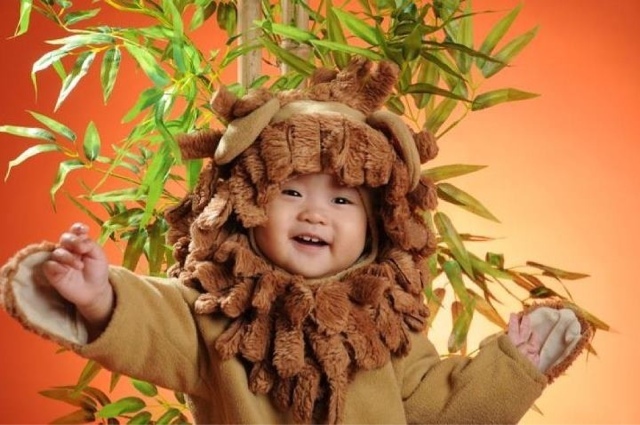 I didn't plan the lion costume. But when I saw it at the studio, I decided to give it a shot and see if Ally would wear it. It was going to be perfect for her party invites. More on that in a future post. I had concerns about the costume, so I checked if it was clean before I made her wear it. It was freshly laundered. I also made sure it wasn't scratchy - the inner lining was soft and silky smooth. The studio was air conditioned so I didn't have to worry about her getting uncomfortably warm. It took all of 5 minutes. I am amazed that the photographer got these shots (and more) in such a short time. And even more amazed that Ally was such a ham! I didn't expect her to last that long. As expected, she started tugging on the headgear a couple of minutes into the shoot. The photog wanted to take more photos, but I didn't want Ally to be in that suit too long, so I asked her to stop shooting. And just in time too, because Ally started to cry. She hated the headgear. As soon as I got it off her, she was a happy baby again, even with the suit still on. So I don't recommend costumes like these for toddlers if they're going out Trick or Treating. A quick photo shoot in a studio with A/C is fine. 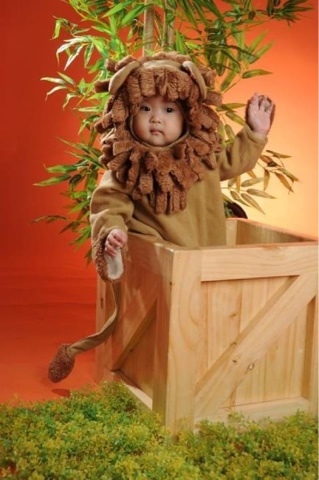 But I can't imagine making babies wear this in Manila weather for more than 5 minutes - even in a mall! What will your kids wear this Halloween? What's your favorite costume of theirs? Please share by commenting! As for the costume,maybe a Tinkerbell dress, but I'll see about that. Adorable! Jacob has a costume made of similar material. Pumpkin suit naman. Kaso he'll get so sweaty if he wears it outside while Trick or Treating. So we'll probably get a cute outfit from Mothercare. I'm eyeing their bumble bee suit! Very nice. Halloween isn't a big occasion here. 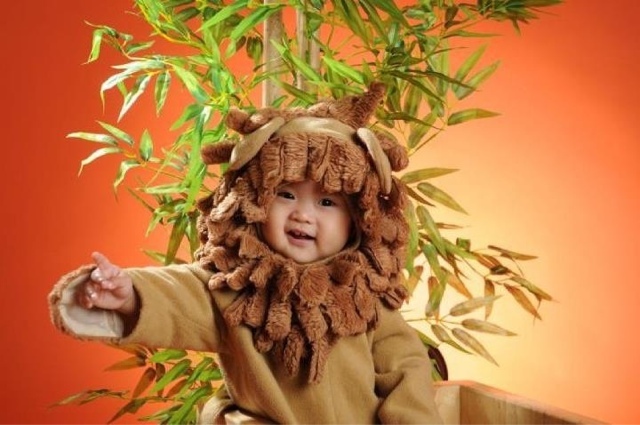 So we haven't really given it much thought, but if it was, we would surely dress them up as cute as this one.